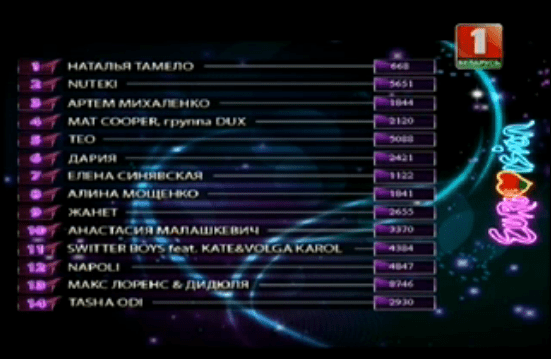 Tonight, viewers of Belarus 1 witnessed the national final to find a representative for the nation at Eurovision. TEO won the fourteen-song competition, performing “Cheesecake”. By a process of 50/50 jury and public voting, TEO (Yuriy Vaschuk) won a narrow victory over Max Lorens and DiDyuLya and should now represent Belarus in Copenhagen. 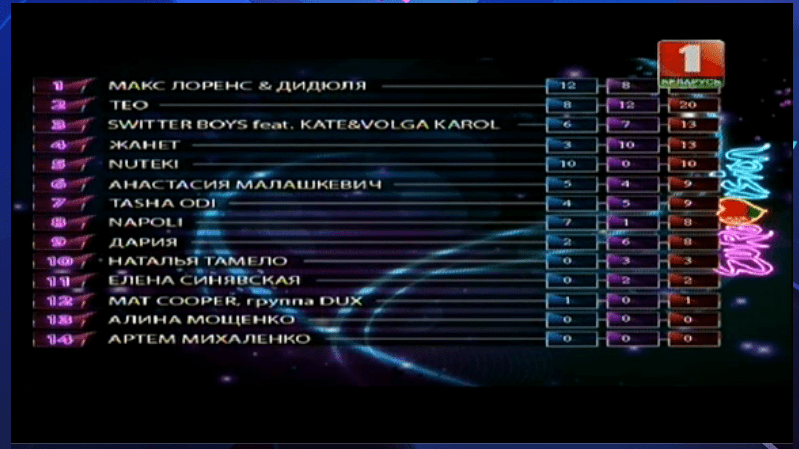 Max Lorens and DiDyuLya won the televote (see below) ahead of Nuteki, with TEO in third place. However, the jurors – who announced their votes one hour after the publication of the televote – left Max in third place, resulting in a tie overall. Each juror took to the stage to provide a tie-break judgement. All the jurors, which included Alyona Lanskaya- went with TEO. “Cheesecake” was written by TEO and will be Belarus’ eleventh entry in the Eurovision Song Contest, aiming to achieve only their fourth qualification to the final on 10 May. The lyrics to the song are listed below. There will likely need to be some amendment to them, given that he repeatedly mentions “Google Maps”, and should therefore expect to fall foul of EBU rule 1.2.2.g, which tripped up Valentina Monetta and Ralph Siegel in 2012. You called me “my sweet cheesecake”. Cos I’m tired of being your sweet cheesecake. Don’t stay, on my way, hey.